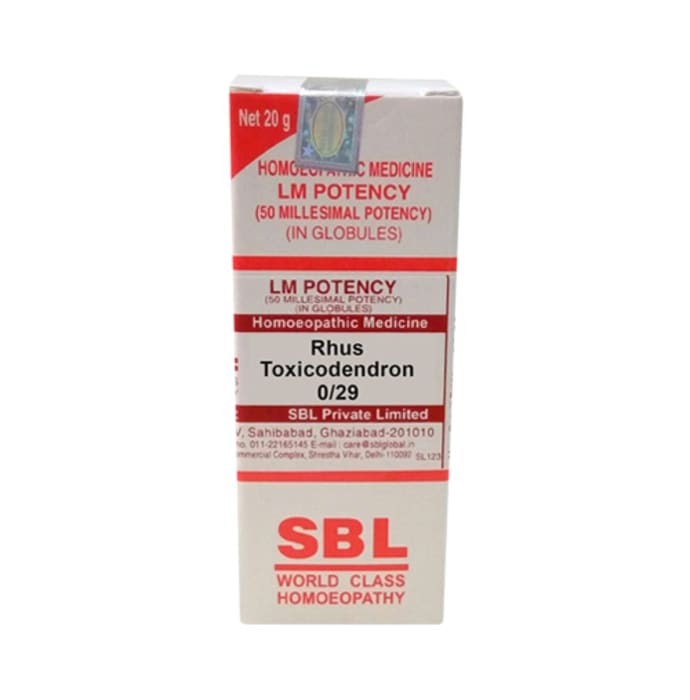 Rhus Tox is a homeopathic medicine used for rheumatic conditions and for fever. The symptoms are mostly related to change in climate and muscular pains, overexertion. The drug is made from the Poison ivy plant. The complaints are mainly due to over lifting, overstretching, getting wet, cold damp weather. The joints are a painful and hot sensation as if the tendons have been scrapped from the bones. 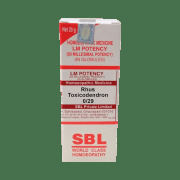 A licensed pharmacy from your nearest location will deliver SBL Rhus Toxicodendron 0/29 LM. Once the pharmacy accepts your order, the details of the pharmacy will be shared with you. Acceptance of your order is based on the validity of your prescription and the availability of this medicine.